Baba Hazrat Sheikh was born in Sherwan in 1434. His original name was Sheikh Sardarud-din Sader-e-Jahan. He was the son of Sheikh Ahmed Jinda Pir and grandson of Shekh Ali Shahbaj Khan. Since his childhood, Sheikh Saddarud-din Sader-e-Jahan was inclined towards spirituality. He ot impressed from Hazrat Baha-ud-din Zakariya (R.A) and became his disciple. Baba Hazrat Sheikh; Baba Haider Sheikh, as he is popularly known, was sent to the region from Multan by his spiritual preceptor. 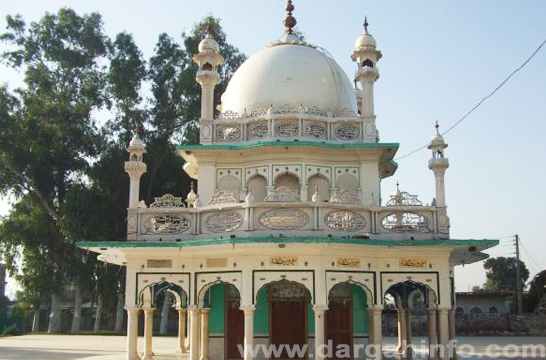 In 1449 Baba Hazrat Sheikh settled on the bank of a Satluj river (Bhumsi) to engage in religious devotions. Both oral and written histories of Malerkotla usually begin with the arrival of the Sufi Sheikh, Sheikh Sadruddin Sader-e-Jahan. In a history of the dynasty written by Iftikhar Ali Khan, the last Nawab of Malerkotla, the Sheikh is described as a Sherwani Afghan from Khurasan, "a very pious man of much celebrity in his time."  The Sheikh left heavenly abode on 14 Ramadan, 922hijri/1515 C.E. He was buried at the same place where he always used to pray. Other family members of the family were also buried near the Mazaar of Sheikh Sardarud-din. the last Nawab of the kingdom; Bayzid Khan (Six Generation of Baba Hazrat Sheikh) was responsible for the building of the tomb shrine for their forebear Baba Hazrat Sheikh. From last many years many festivals are celebrated at Tomb Shrine of Baba Hazrat Sheikh. On first Thursday of every month there is small or big religious gathering but the most famous and big fair at Tomb shrine is in May-June (Popularly Known as Jeth & Hadd Chaunkis, Thursday) when Millions of people across India gather and pray at Holy Shrine. During his entire life Baba Hazrat Sheikh not only preached to Muslims but also to all the people belonging to other religions. That is the reason people belonging to many religions like Hindus, Sikhs reach in millions and pray at Holy Sufi Shrine of Baba Hazrat Sheikh. 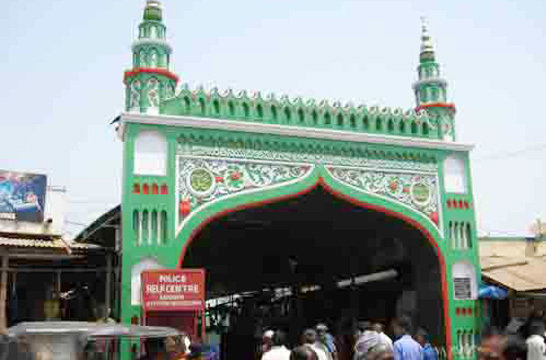 The Gate of Holy Sufi Shrine is never locked and pilgrims can go at any time (24 Hours) and take the blessings of Baba Hazrat Sheikh. Pilgrims pay tribute to Baba Hazrat Sheikh by offering cloth Sheets (Chader), Prasad (Sweet Rice, Batase & Gulgule).